You can locate your dataset by entering a search term and filtering by group, date created, data type, status, and last update. You will be given the option of selecting 'No license' or choosing a Creative Commons or custom license. If you click 'Creative Commons,' you will have the option of choosing your specific type of Creative Commons license. 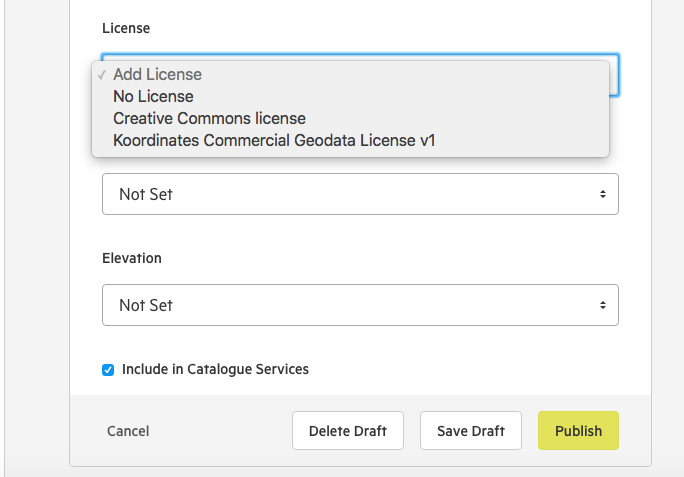 If you click 'Custom License,' you will have the option of selecting from a list of previously configured custom licenses. Learn more about adding a custom license.